The awaited nine days of Navratri or Durga Puja are here. A well-known festival around the country and maybe a little disheartening for foodies, but Navratri has its own perks. 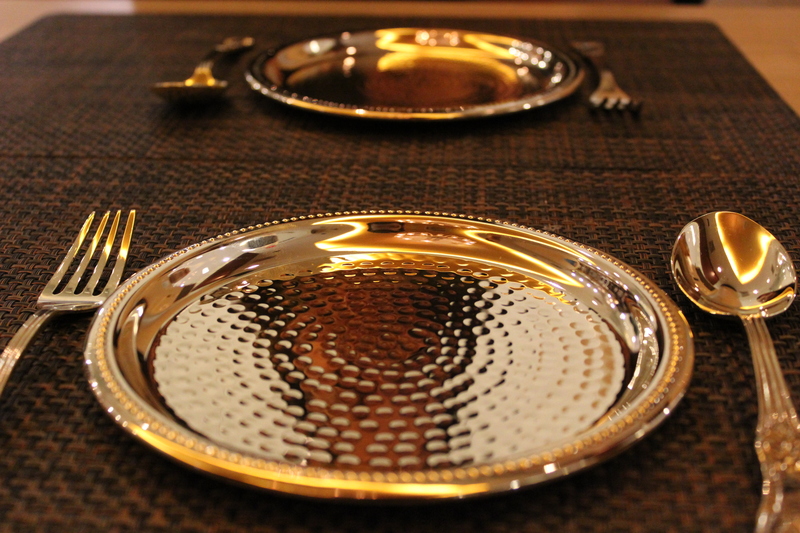 While there are hundreds of heads, fasting these nine days, Punjab Grill has come up with a lavish spread in the form of an exotic Thali worth looking forward to. They define themselves as the food fit for the royal and we totally agree with them. Dining here is an affair one must experience. The rustic wall with copper vessels in their fine dining area are the first ones to catch your attention upon entering. One can choose to dine at their casual dining area which is mostly suitable for the buffets or their gourmet fine dining area which is perfect for dinners and dates. The king size Navratri Thali is presented royally in golden cutlery. Our meal started with Vrat wali Lassi which was the perfect kickstart to our lavish affair. 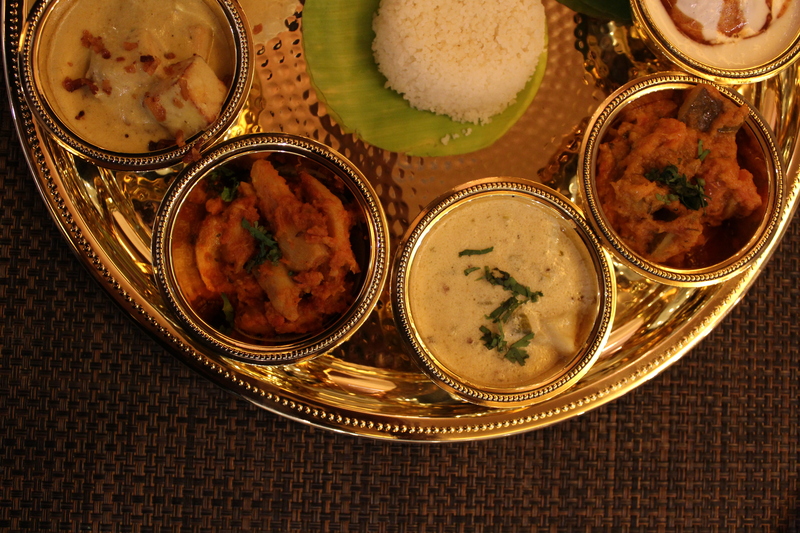 Next to arrive on the table with much aplomb was their Thali, made with the simplest of ingredients combined. The highlights of the Thali were delicious Kacche Kele ki Tikki, Dahi wale Aaloo, Sukhi Arbi, Khatta Meetha Kaddu, melt in mouth Khoya Paneer, Aloo Singhara Dahi Vada, Samak ka Pulao and Rajgira ki Puri served with Sabudana Papad. As heavy as that sounds, the thali was adequate for one person. In case this delicious spread leaves you wanting for more, you can choose the Ala Carte option for the above dishes as well. Of all the things in the set menu, you might want to ask for another portion of the rich and creamy Dahi wale Aaloo. Punjab Grill made sure that we end our meals in the old fashioned Indian way with the Kesari Rasmalai and Makhane ki Kheer. 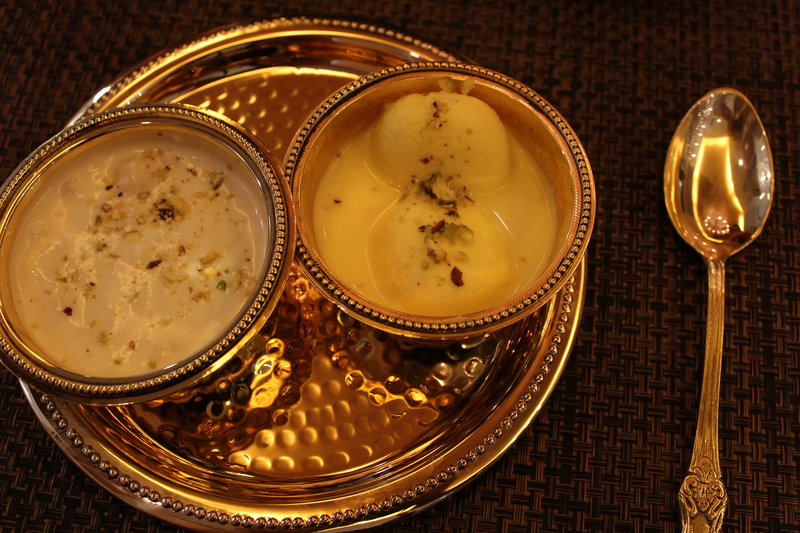 The taste of the kheer evokes the childhood memories of sweet treats of mother’s kitchen. So, worry not if you are fasting this Navratri, Punjab grill is sure to turn your fasts to feasts.